Are you looking for the best wheel adapters to buy? We CNC machine our wheel spacers and custom wheel adapters out of high quality 6061 billet aluminum to exacting tolerances. All kits feature high strength pressed in wheel studs and a brushed aluminum finish. Price is quantity of four adaptors along with qty of 16 lug nuts. Please allow 5 to 10 business days for us to build these (we can ship these expedited if needed, please call for details). If you do not see your bolt pattern in the options, simply select “Custom” and note the size in the order comments section. We can build the adaptors in any size pattern. 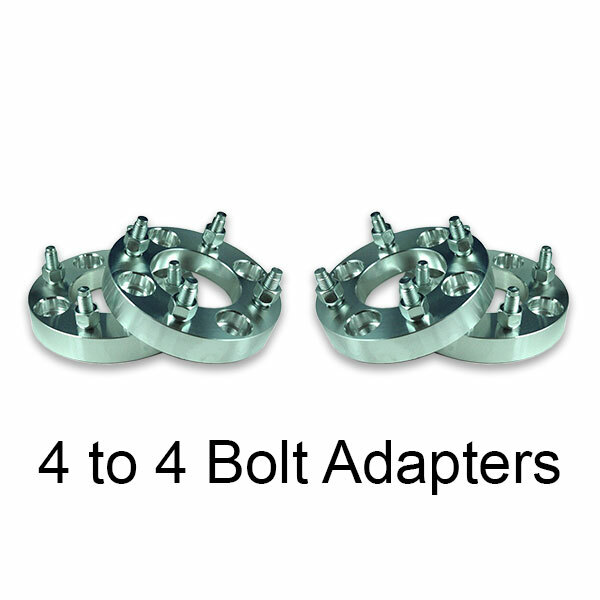 Note: All adapters come standard with 12mm wheel studs and lug nuts. Q: How do wheel adapters work? A: An aluminum spacer contains holes that your lug studs bolt through with factory lug nuts. There are a corresponding amount of wheel studs that then protrude from the spacer that your rim and tire bolt to. Q: Do I need wheel adapters? A: If you want to change to a different size bolt pattern or if you want to space out your rim, you will need them. Q: Are wheel adapters safe to use? Do they cause problems, cause vibration and what is the reliability? A: Installed correctly, our high quality adaptors are extremely safe to use. You must also order the correct size for your vehicle. 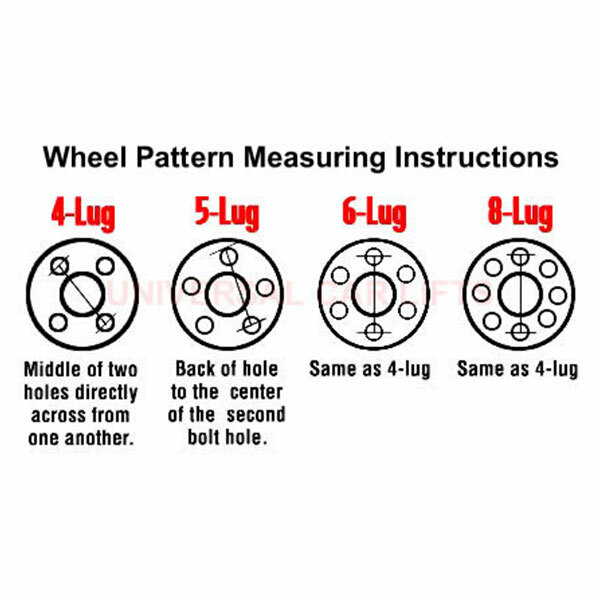 Using an incorrect bolt pattern, hub centric measurement or stud size may cause safety issues. 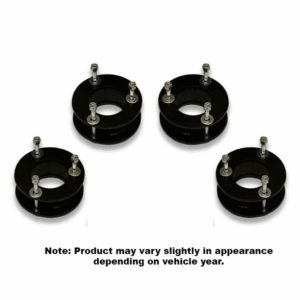 Q: How much are wheel adapters? How much do wheel adapters cost? A: Wheel adaptors must be custom machined for your vehicle. With that in mind, the cost is fairly reasonable considering the work involved. We believe our spacers are the best brand of wheel adapters online. Q: What is a wheel spacer? When are they used? A: Spacers are used for pushing the rim out of the wheel well. 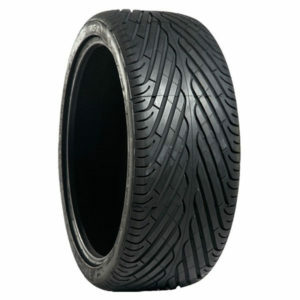 If you want your tires to stick out farther we would recommend them. Or if your rim is hitting the frame or suspension parts, it is necessary to install them. Q: What if I need wheel adapters to change bolt pattern? A: We can do that as well. 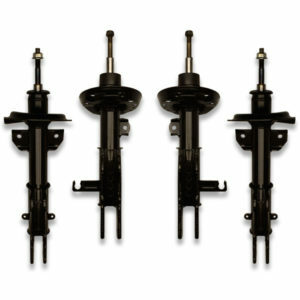 Common change overs include Chevy Caprice wheel adapters kit to 6 bolt Silverado truck rims. 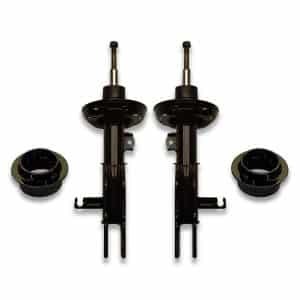 We can also change Crown vic wheel adaptors to Monte Carlo and pretty much any other change you could think of. Q: How to measure wheel adapters? A: Check out our photos above for an explanation. You can also give us a phone call any time and we can walk you through the process. 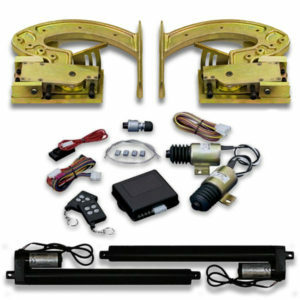 Universal Car Lifts has years of experience measuring bolt pattern and building custom spacer kits. Q: Do wheel adapters work? A: They work awesome when used correctly to get your rims to fit or to get the correct offset you need to fit your tires. Q: How do you install wheel adapters? A: Its pretty much the same as installing a regular rim. You install adaptors first, making sure to torque to your factory specifications. 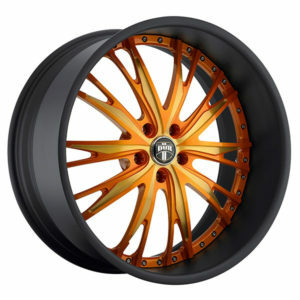 Next you install your rims and also torque to the factory specifications (usually 80-120 ft/lbs). 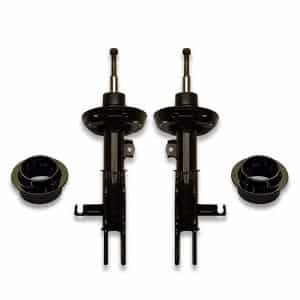 Q: Can you use wheel adapters on drum brakes? A: Yes for sure. Same process. Q: What is wheel offset or back space? A: Offset / backspace is where the wheel sits in relation to where the suspension is mounted on the car. Q: What is positive or negative offset and backspace? A: Generally, positive offset means the wheel will be sticking inwards towards the car. A smaller backspacing also means the wheel will be sticking farther inwards. Negative offset, or a higher backspace number, means the wheel will stick farther outwards from the car. Q: Where do you ship wheel spacers to? A: We ship to Chicago, Dallas, Texas, Florida, Atlanta, Jacksonville, Miami, Vietnam, Japan, Australia, Canada… pretty much anywhere in the world. We have a fast turn around time and will get your package sent out asap.